The Division Update 1.6.1 for PS4, Xbox One and PC is now available for download. The update brings new features like Loadouts which offer players the chance to save their equipped Weapons, Gear, Skills and Talents to Loadout slots, allowing for quick swapping of builds to be used for different activities. The new update also fixed several bugs that could prevent players from being revived by skills or player interaction if they were previously being revived by a support station and this revive was canceled for various reasons. Check out the full official changelog below. 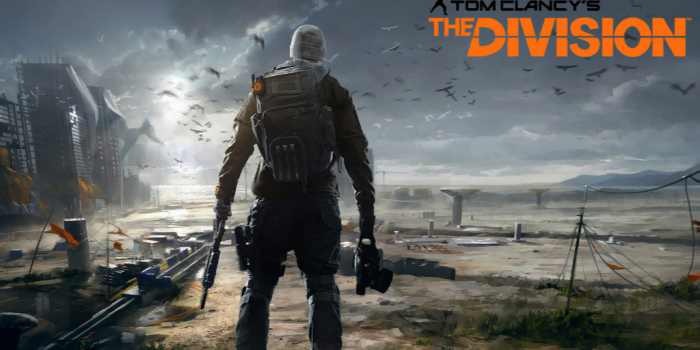 The Division Update 1.6.1 fixed several bugs that could prevent players from being revived by skills or player interaction if they were previously being revived by a support station and this revive was canceled for various reasons. The Division Update 1.6.1 fixed a bug with Nimble talent where the player could be revived by the talent if they died during cover to cover movement. The Division Update 1.6.1 fixed a bug where throwable skills would become unusable after the player receives status effects while aiming them. The Division Update 1.6.1 fixed a bug where players would not be healed by First Aid if they are damaged while in the radius of the skill. The Division Update 1.6.1 for PlayStation 4, Xbox One and PC fixed a bug where the slowing effect of bleed would apply multiple times on a character using a ballistic shield. The Division Update 1.6.1 fixed a bug in Hudson Refugee Camp where doors could remain closed when a turret was used in proximity. The Division Update 1.6.1 fixed a bug with several incursions where the final enemy waves would not spawn in specific situations. The Division Update 1.6.1 fixed another weird door. The Division Update 1.6.1 for PS4, Xbox One and PC fixed several instances where players could respawn in unplayable areas when killed in certain locations. The Division Update 1.6.1 fixed a bug where the health bar of turret fortifications may not correctly display to the player. The Division Update 1.6.1 for PlayStation 4, Xbox One and PC fixed a bug where fortification turrets could sometime shoot through specific walls. The Division Update 1.6.1 fixed a bug where the Pulse fortification would sometimes not work correctly. The Division Update 1.6.1 for PC fixed a bug where players would be unable to type in the chat window on the Last Stand post match screen. The Division Update 1.6.1 for PS4, Xbox One and PC ixed a bug where players could be disconnected from the game after buying Premium Credits. Check your game update download latest The Division Update 1.6.1 for PS4, Xbox One and PC.